Happy Christmas! Thankfully it’s still Christmas Day in the time zones west of Norway, so I can truthfully post this at just gone midnight! We are really enjoying have Ruth with us from the US, although we’re sad it’s not been possible for Jordan to come too. After an extended period of thawing temperatures and rain, we had to warn Ruth that despite visiting the Arctic, she probably wouldn’t get a white Christmas. However, earlier forecasts turned out to be wrong, and she has experience snow and the aurora. Christmas Day was in some ways easier, with just one service each, although the final postlude which a choir decided to do in 5/4 time took a little bit of negotiating. 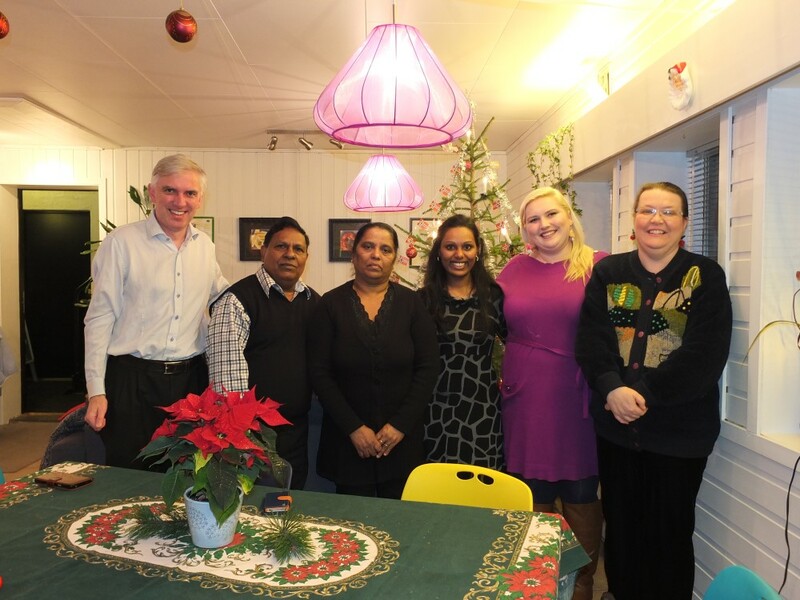 We then ate English Christmas dinner with Dilani and her parents. Ruth cooked the majority, with her stuffing being a particular hit (yum), Sarah made Christmas pudding (a special suet free version, as you can’t buy it in Norway) and Christmas cake, and Dilani’s family came with delicious spring rolls and a cheese cake.